The Norse Warrior Helmet with Aventail resembles the ancient helmets of Viking fighters recovered in Scandinavia. 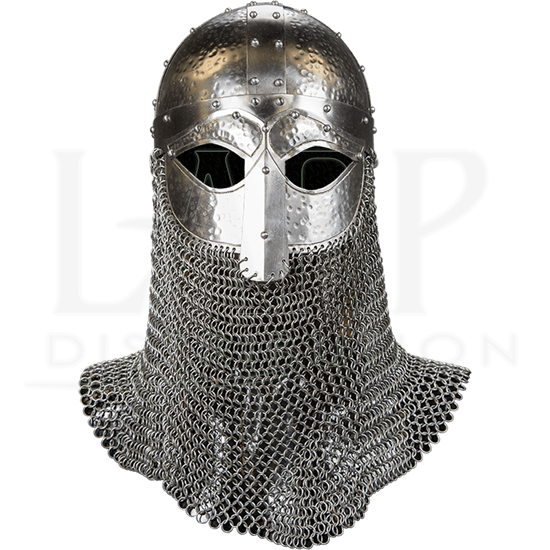 This Viking helmet has a large face guard that covers the nose of its wearer, almond eye holes, and chainmail attached to the bottom of the helmet, called an aventail. This helps protect the neck when worn. Rivets secure the wide strips that reinforce the steel helmets round cap structure. Inside, the helmet is lined with adjustable, padded cotton canvas. An adjustable, buckled leather strap secures it under the chin. Choose between 16 gauge steel and 18 gauge steel. 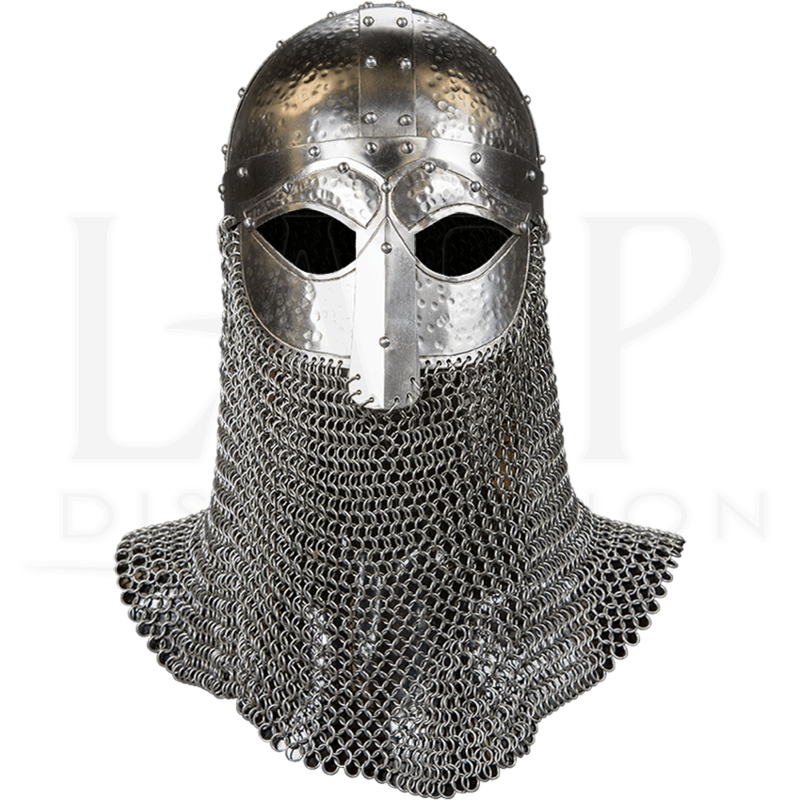 Take on your next reenactment, Renaissance faire, LARP, or other costuming event as a bold Viking warrior when you wear this historical Norse helm.